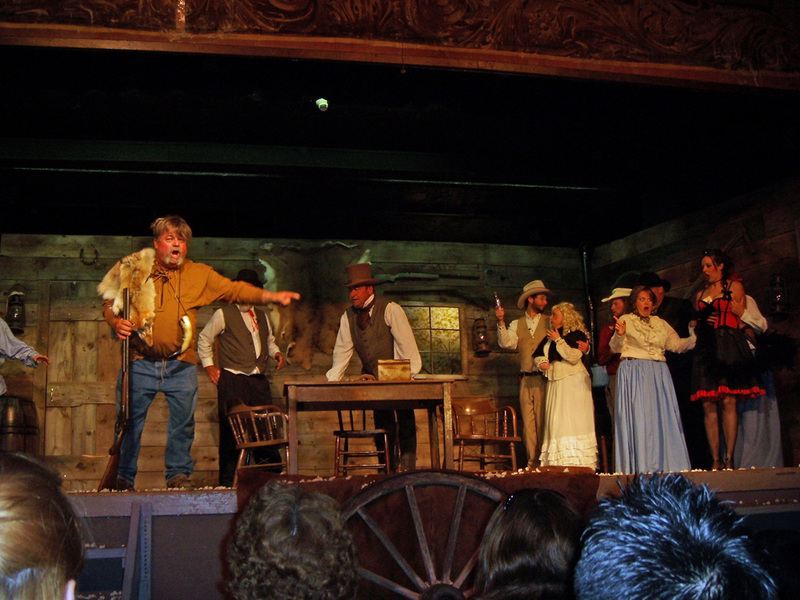 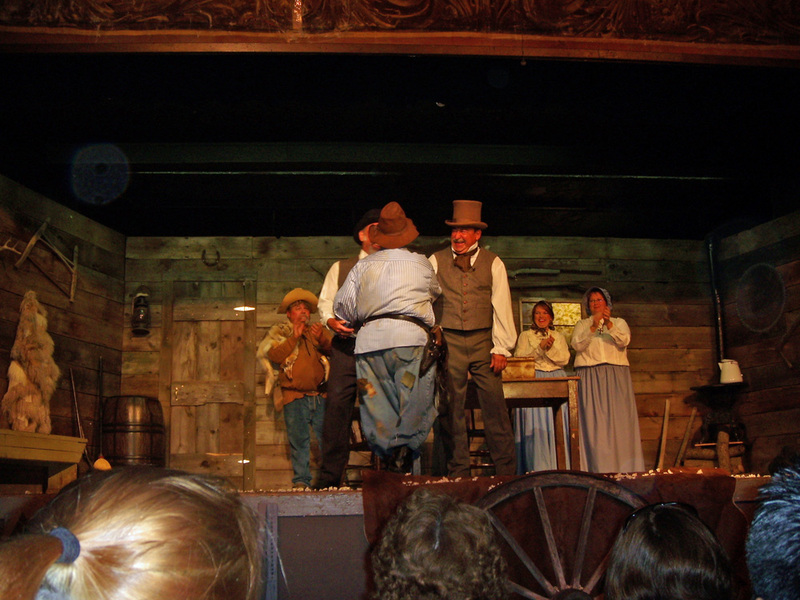 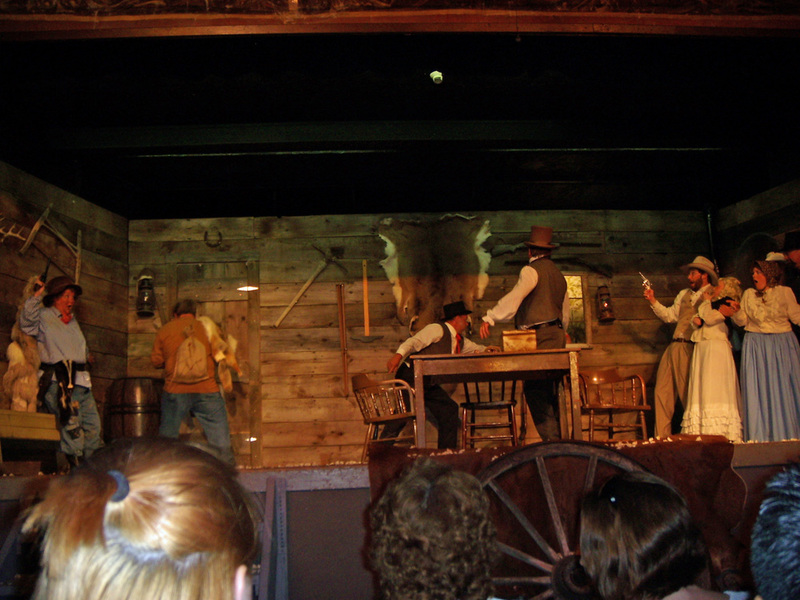 On July 3, 2008 a premier performance of "North of West Point", a historical melodrama written by John Burkhart expressly for the Sesquicentennial Celebration of West Point, Nebraska was presented in the West Point City Auditorium. 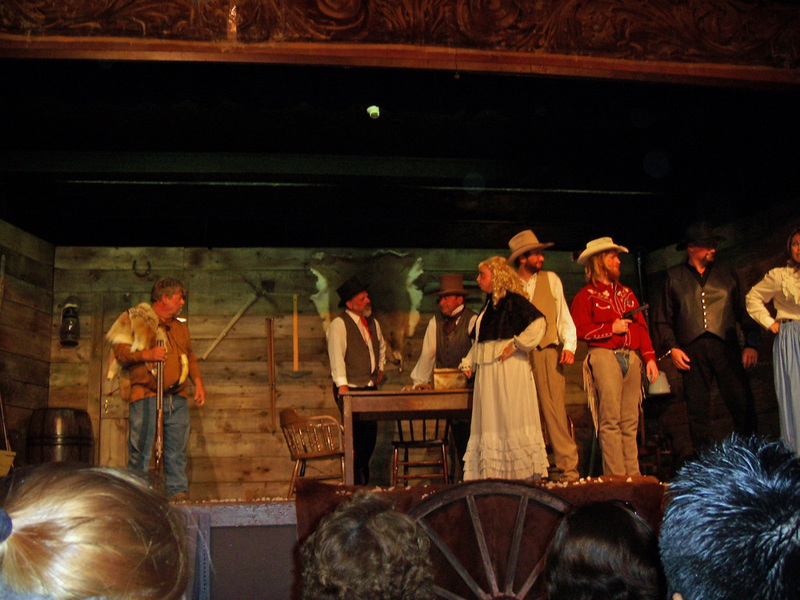 Subsequent performances were given on July 4,5 & 6. 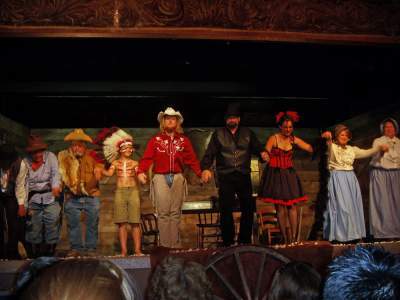 Pictured, left to right: Betty Buzzardbreath (Debbie Ell), Pawnee Bob Jones (Paul Kreikemeier), Pawnee Warrior (Carsten Schuetze), Sheriff Henry Cline (Zac Couture), Bill Smith (Vaughn Beed), Sally sidewinder (Alice Craig), Polly Persimmon (Alyssa Schuetze), Suzzie Salvation (Judy Hansen). 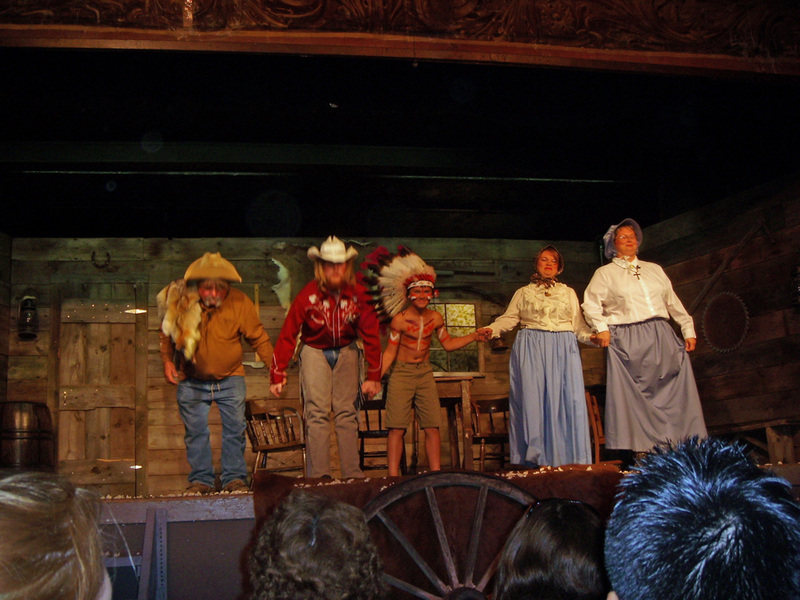 Pictured, left to right: Pawnee Bob, Uriah Brunner (Jerry Hugo, John J. Brunner (Randy Davis), Kitty Brobst (Emily Wiechman), John Neligh (Chase Becker).